The news of Pierre Boulez’s death on 5 January may come as little surprise, but it must be a cruel loss all the same to any who prize the vitality of new and original thought. He retired from public life more than two years ago, to sit out his days at his home outside Paris, in an isolation made the more lonely by the cataract-clouded blindness which, in a cruel twist of irony, deprived him of those famously piercing blue eyes which formed a formidable part of his armoury of communication, no less than the ready tongue that made him so efficient in rehearsal and so congenial in lectures and conversations, or the ear which could, apparently, hear everything. On the wall next to my desk is framed a print by Sevek, the Austrian artist who like so many came under Boulez’s spell when, in the years following the Second World War, what was most needed was not nihilistic philosophising but renewed belief and faith in the power of art not to be mired in the past but to make something beautiful for today, and tomorrow. With Le Marteau sans Maître, Boulez drew like minds to him, so too with the energy he brought to the performance and promotion of new music when he came to find that few others could or would do it justice. Yes, the influences are plain to hear – of Debussy and Messiaen on his music, of Desormiere, Rosbaud and later Wieland Wagner on his conducting – but once in his twenties, like Beethoven in Vienna, Boulez was set on a path, and his refusal to take no for an answer remains among his strongest qualities. 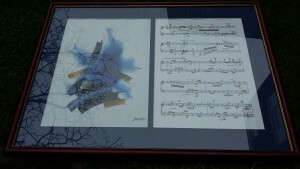 In partnership with the composer, Sevek produced a painting to complement each page of the First Piano Sonata. It is the distinct colours of this music as much as its precision that make such an impressionistic response not just possible, but seductive in its own right, but Sevek’s art also serves to show how good music (a Palestrina motet, a Haydn minuet or a Boulez sonata) can satisfy the eye as well as the ear. ‘Boulez the conductor remakes Brecht’s dictum that art is not a mirror held up to reality but a hammer with which to shape it, just as Boulez the composer breaks the mirror with Le marteau sans maitre and holds up the fragments to our perplexed enchantment . 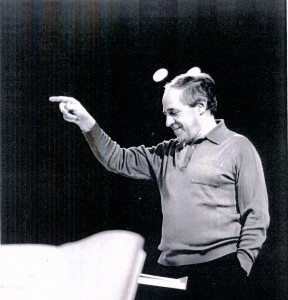 To confuse that determination with alienation is to grossly misunderstand both musician and playwright: Boulez has often been accused of a deracinated ‘objectivity’ holding the artwork at arm’s length, because he conducts as a composer does, with the score the first and foremost source of information. Posted on January 6, 2016 by Peter Quantrill	This entry was tagged Berg, Gramophone, Pierre Boulez, Sevek. Bookmark the permalink.